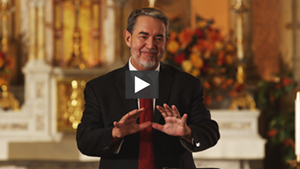 Dr. Scott Hahn is the Fr. Michael Scanlan Professor of Biblical Theology and the New Evangelization at the Franciscan University of Steubenville, where he has taught since 1990. 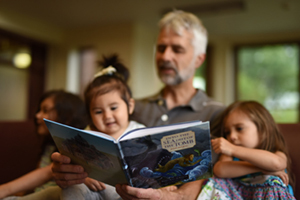 He is the Founder and President of the St. Paul Center, an apostolate dedicated to teaching Catholics to read Scripture from the heart of the Church. 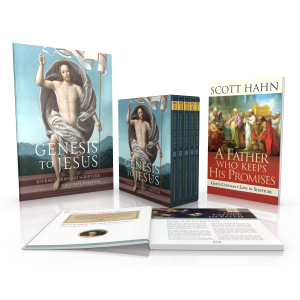 The author (or editor) of over forty popular and academic books, Dr. Hahn’s works include best-selling titles Rome Sweet Home, The Lamb’s Supper, and Hail Holy Queen. His most recent titles include The Creed and The Fourth Cup. He is the editor of the academic journal Letter & Spirit: A Journal of Catholic Biblical Theology. Dr. Hahn graduated from Grove City College in 1979 with his BA in Theology, Philosophy and Economics. He received his M.Div. from Gordon-Conwell Theological Seminary in 1982 and his Ph.D. in Theology from Marquette University in 1995. He was ordained in 1982 at Trinity Presbyterian Church (Fairfax, VA). He entered the Catholic Church at the Easter Vigil, 1986. Dr. Hahn has been married to Kimberly for forty years, and together they have six children and eighteen grandchildren. 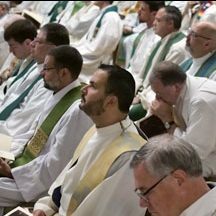 Two of their sons are currently in priestly formation with the Diocese of Steubenville. Over the last three decades, Dr. Hahn has delivered thousands of popular talks and academic lectures, nationally and internationally, on a wide range of topics related to Scripture, Theology, and the Catholic faith. 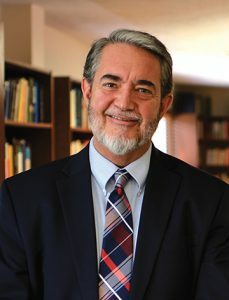 To invite Dr. Hahn to speak at your parish or see his speaking schedule visit ScottHahn.com. • Canon and Biblical Interpretation Scripture and Hermeneutics; co-editor with Craig Bartholomew, Anthony Thiselton, Robin Parry (Grand Rapids, MI: Zondervan, 2006). 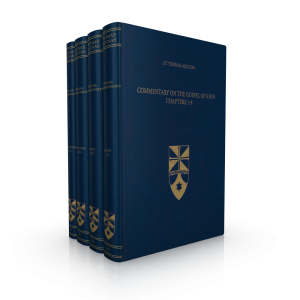 • “The Symphony of the Old and New Testaments in the Biblical Theology of Benedict XVI,” Communio 37.3 (Fall 2011), pp. 425-58. Scranton Press, 2011), pp. 141-76. 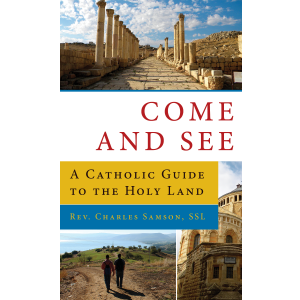 • “For the Sake of Our Salvation: The Truth and Humility of God’s Word,” Letter & Spirit: A Journal of Catholic Biblical Theology 6 (2010), pp. 21-47. • “Liturgy and Empire: Prophetic Historiography and Faith in Exile in 1–2 Chronicles,” Letter & Spirit: A Journal of Catholic Biblical Theology 5 (2009), pp. 13-50. • “Temple, Sign, and Sacrament: Towards a New Perspective on the Gospel of John,” Letter & Spirit: A Journal of Catholic Biblical Theology 4 (2008), pp. 107-143. • “Christ, Kingdom, and Creation: Davidic Christology and Ecclesiology in Luke-Acts,” Letter & Spirit: A Journal of Catholic Biblical Theology 3 (2007), pp. 113-138. • “The Hermeneutic of Faith: Pope Benedict XVI on Scripture, Liturgy, and Church,” The Incarnate Word Vol.1 N.3 (June 2007), pp. 415-440. Scott Hahn, Anthony Thiselton (Grand Rapids, MI: Zondervan, 2006). • “The Authority of Mystery: The Biblical Theology of Pope Benedict XVI,” Letter & Spirit: A Journal of Catholic Biblical Theology 2 (2006), pp. 97-140. • “Worship in the Word: Toward a Liturgical Hermeneutic” Letter & Spirit: A Journal of Catholic Biblical Theology 1 (2005), pp. 101-136. • “Kingdom and Church in Luke-Acts: From Davidic Christology to Kingdom Ecclesiology,” in Reading Luke: Interpretation, Reflections, Formation Scripture and Hermeneutics Series VI; eds., Craig Bartholomew, Joel Green, Anthony Thiselton (Grand Rapids, MI: Zondervan, 2005), pp. 294-326. • “Noah’s Nakedness and the Curse on Canaan (Genesis 9:20-27),” with John Seitze Bergsma, Journal of Biblical Literature 124.1 (Spring 2005), pp. 25-40. • “Covenant in the Old and New Testaments: Some Current Research (1994–2004)” Currents in Biblical Research 3.2 (2005), 263-292. • “Covenant Oath and the Aqedah: Diaqh/kh in Galatians 3:15-18” Catholic Biblical Quarterly 67.1 (2005), pp. 79-100. • “Covenant, Cult, and the Curse-of-Death: Diaqh/kh in Hebrews 9:15-22” in Hebrews: Contemporary Methods – New Insights, ed. Gabriella Gelardini (Leiden: Brill, 2005). • “A Broken Covenant and the Curse-of-Death: A Study of Hebrews 9:15–22” Catholic Biblical Quarterly 66.3 (2004), pp. 416-436. 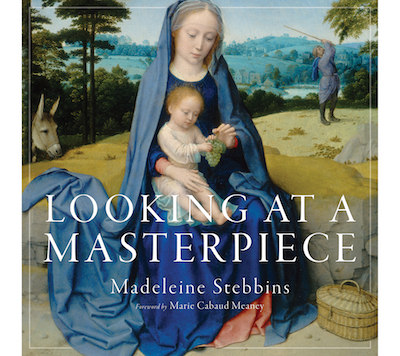 • “Biblical Theology and Marian Studies,” The Immaculate Conception Calling and Destiny, Marian Studies: LV (2004), pp. 9-32.